A simple way to express you love without saying anything, this arrangement is sure to do the trick. The white and pinks of this bouquet is exquisite, without being overstated. 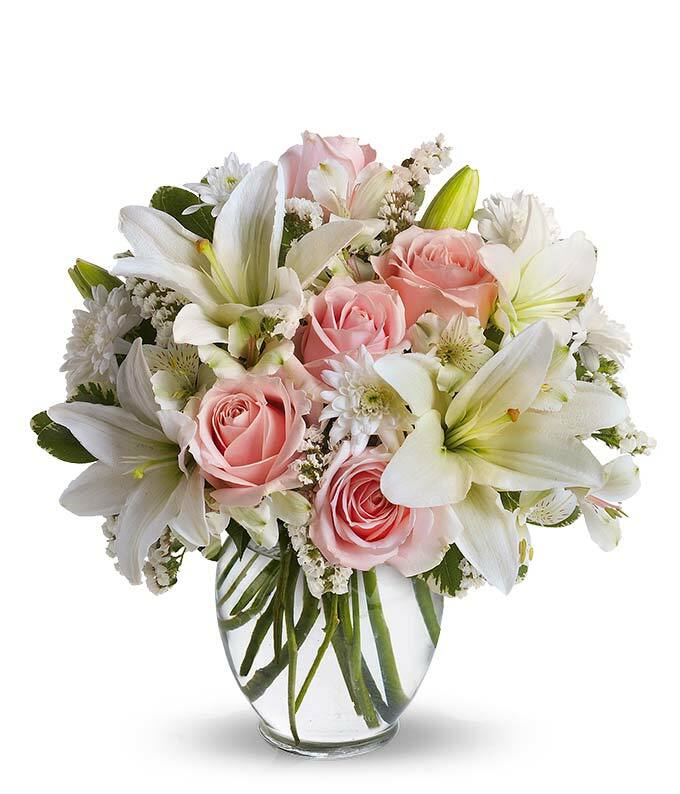 The roses and lilies complement each other, surrounded by other pastel accents in a classic ginger vase. The Serenity and Bliss bouquet is great for any occasion whether you're celebrating a birthday, anniversary or just because!